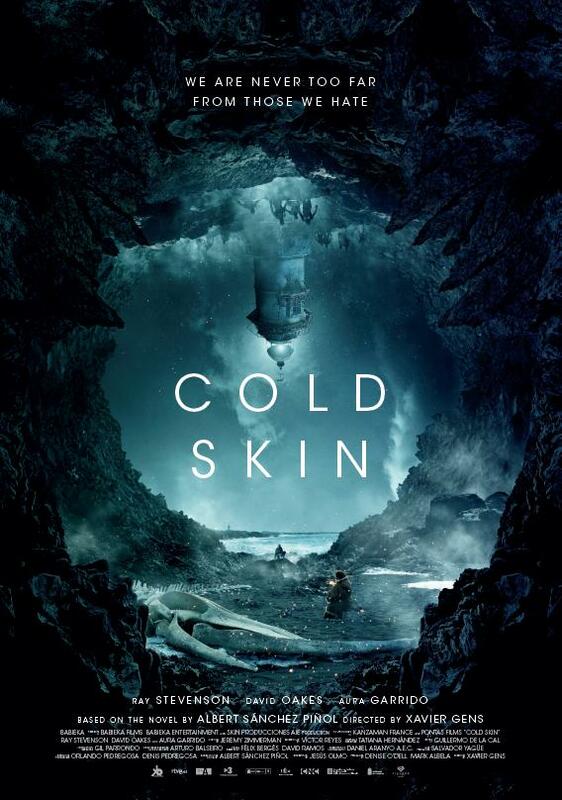 Directed by Xavier Gens (The Divide), and based on the best selling novel by Albert Sánchez Piñol, Cold Skin treads a fine line between movie and play. Beginning with a weather observer arriving by boat, we find the man he was supposed to replace has disappeared, leaving the only other inhabitant of the island as Gruner, the anti-social lighthouse man. With the boat gone, Gruner holed up in what appears to be a fortified lighthouse, the weather observer takes up in his cabin to begin a twelve month shift at work. After only one day, he finds that the two of them are not alone. Set on an island with only two inhabitants, with most of the action set in a single location can be a tough sell, especially for a horror film. With one of the two not even given a name within the narrative (only known in the credits as "Friend"), the writing for the two of them is on point. The film never drags, or loses it's not inconsiderable pace, during the isolation scenes of the near two hour runtime. Gens does a good job of making the island and the single location - the lighthouse - a foreboding character in the narrative. The hulk that is the loner, and emotionally crippled, Gruner is played to absolute perfection by Ray Stevenson (Thor) while Friend is portrayed by the excellent David Oakes (The Living and the Dead) - both do a great job here. A new dimension is added by Aneris - one of the creatures inhabiting the island that Gruner has taken as a pet, but is also having sexual relations with. When Friend begins to have feelings for her, a deep rift is cut between the two men. While the story is very much a horror-siege, there is a deep emotional relationship between the two men, starting with Gruner's acceptance of another person on the island, destroying his personal isolation - and purgatory - and then the two becoming friends - only for the rift to appear. 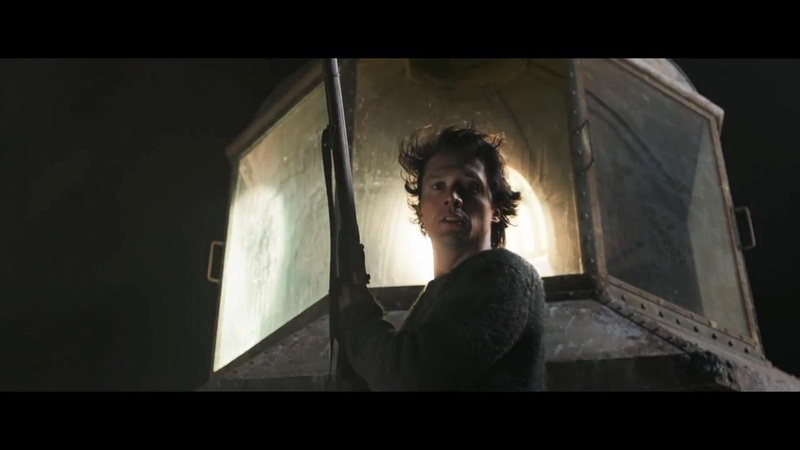 Cold Skin immediately reminded me of 1999's Lighthouse, starring James Purefoy, with some stark, dark, spewing atmosphere. Sure, the film starts slow - perhaps for the first 15 minutes - but hits break neck speed shortly after. The nightly sieges of the creatures had a vibe of Will Smith's I am Legend, but with far better FX for the creatures which I suspect are a mix of CG and live-action. The film is undeniably tense, with one stand out scene at the mid point, where the tension is broken for a single brief moment only to be torn back without notice. 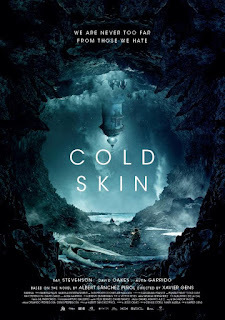 An extremely watchable horror, perhaps literary in nature, with beautiful scenery, great acting, and excellent special effects, Cold Skin is one to watch - wrapped up in a blanket - hiding from the Antarctic blasts. And the creatures in the night, of course.